There are currently 90,593 users on this website. 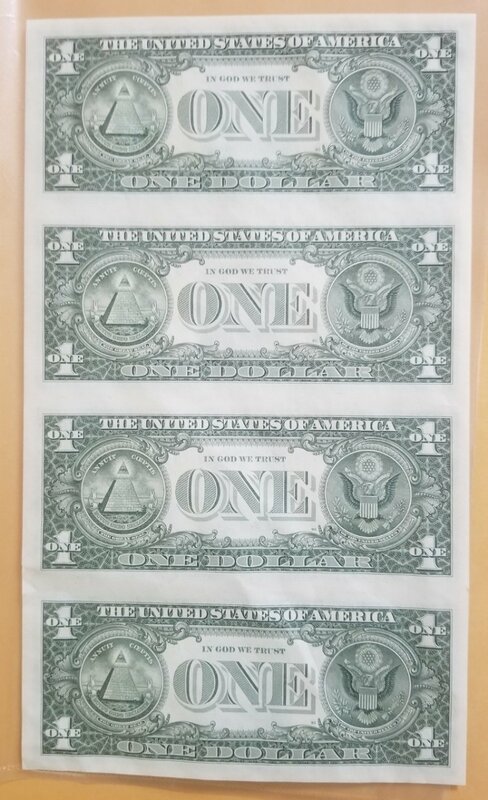 Got this sheet of 4. Serial in question is 99900666. 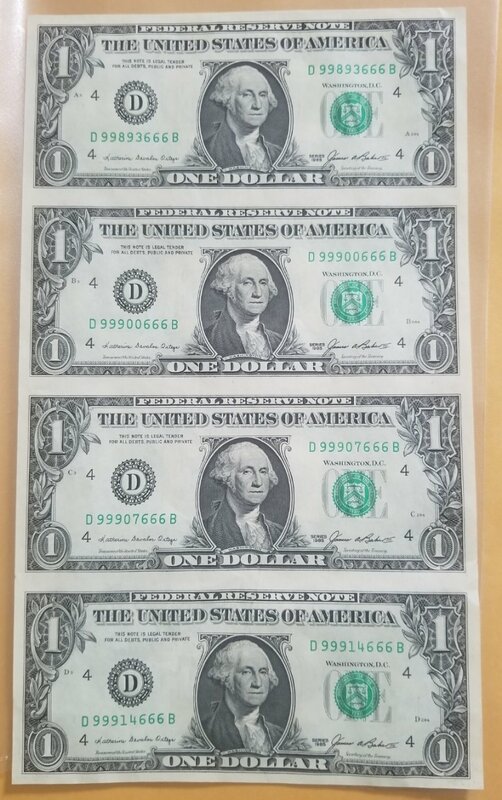 What is it called when it is the exact same serial upside down and right side up? 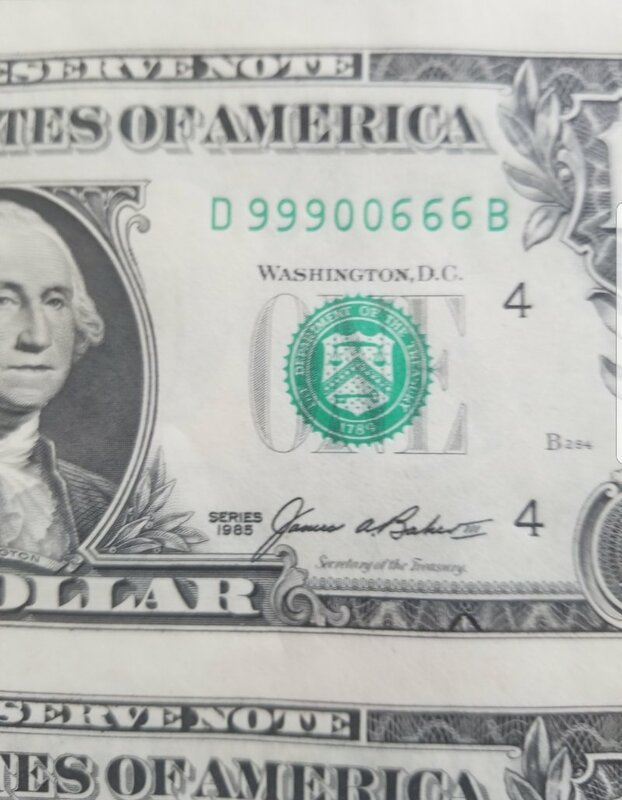 Is it sill just a trinary flipper? Was 8 bucks a good deal? Thank you all for your help. Nice uncut 4 note sheet! I'd say 2x face value was a good deal. I think $8 is a great deal. Nice sheet and a cool SN for sure. Too bad about the minor wrinkling. Might want to get that sheet in a protector. Nice pick up at an even nicer price! Awesome! Thank you all very much for the help and advise. That is a great sheet of 4 and a great price on it. Well done. Standout note for a nice price.